It feels great! More than words can describe! All DP's except Rapunzel, Anna, and Elsa-How do y'all feel those 3 might be cousins? To all the Princesses: Do you know of this show called Lord of the Dance? All the DPs, do you guys get into arguments, and if you do, what are they usually about? Jasmine:Is it true you know how to belly dance? Anna and Elsa: Have you read the Chronicles of Narnia? Anna: I did and I loved it! Elsa: It was one of my favorites as a child. Pocahontas: Are you and Nakoma still good friends? Ariel: do you know giselle? Of course! We are such good friends! She is so sweet and down to earth. Jasmine, are you, Esmeralda and Meg bffs? What? All of us princesses are friends with those girls! We love 'em to death! Aurora and Ariel-I heard a rumor saying y'all might be related to each other as well because we all saw a portrait of Aurora and Phillip on Eric's dining room wall. Is that true? Aurora: Well, the truth is that my story was the last fairy tale that Disney made.......I am proud that Ariel brought the genre back!!! To all the DP: Are you all going to be a judges if there was a Princess Idol? To be honest, we all couldn't be judges. Elsa, you're the 2nd princess to be single. How do you feel about that? I honestly am happy with my life. I have someone way more important. My sister Anna, and she is all I ever wanted my whole life because I care for her deeply. And Merida and I constantly give one another advice on guys and stuff like that. Im happy. I dont even want to get married. For now. Aurora, since we didnt get to see a lot of your personality in Sleeping Beauty, how to YOU describe your personality? Besides those 3 gifts, I'd say I'd describe myself as a girl who wants the best and more adventure. How many of you are friends with the dalmatians from 101 Dalmatians? DP: Are you friends with characters from Barbie movies? No, we still didn't get a chance to meet them! For each DP: Who is the prettiest princess (excluding you, of course)? We all think of each other as pretty. We couldn't possibly decided on one. Merida, there was alot of controversy about your first redesign. What was your reaction towards it? ....Okay so... Tiana! How's the restaurant going it's been 5 years already (88 in actual historical context) Have you decided to branch out from New Orleans? I've decided I'm gonna open a chain all over the south. I just need Naveen's approval. Merida, I was expecting you to ANSWER THE ACTUAL QUESTION. But, is THAT how you felt? I didn't sign up to be a princess. I was born royal, but Disney thinks dat jus because I'm a Princess they can dress me up as day please. I won't go through wit it. I fight it every day. I jus don't want to end up like the others. An admired role model only for their looks. At da parks I've met kids who've never not once seen a Disney movie, but day love Snow and Aurora and Belle wit out even knowing um. That isn't what I want. Well your re-re-design looks nice. What about you Rapunzel. People make a big deal about Merida's glamoured redesign what do you think of yours. I think Disney just copied what they did for yours and transitioned it into Merida's What do you think of your look Rapunzel? I love my redesign. It's fabulous! Oh, Merida was just kidding about what she said. She LOVES being a princess. She just hated her first redesign. Well. What do the rest of y'all think of your redesigns? Snow: Oh it is just so cute! Aurora: I finally got my hair done. Ariel: I got legs, but I also got my tail. Ugh Disney is so indecisive. Belle: My hair gets in the way when I read, but I love it. What do each of you think about your original stories? Snow White-It's too spooky sometimes. Jasmine-It's interesting that I'm Chinese. Pocahontas-I think it's an honor to be based on my real-life counter part! Mulan-Am I really based on a real person? Tiana-I like it, but why is my character white? Merida-I don't think I'm based off of a real life person or some story. All DP's: I've heard some people comment on how of them they think you're older than you are. What do y'all think about that? 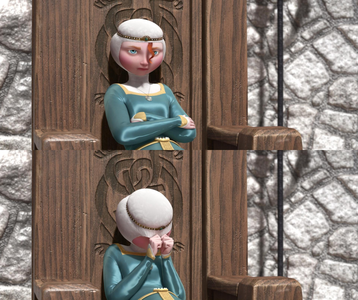 Snow White: Hard question to be honest, but I think I'm actually the youngest and I'm learning along the way. Cinderella: Well, most probably from my personality. Princess Aurora: Same with Snow White and Cinderella. Ariel: Well, I'm with Snow White despite that I'm 2 years older than her. Jasmine: Well, I am more liberal and open-minded. Mulan: I represent women today! 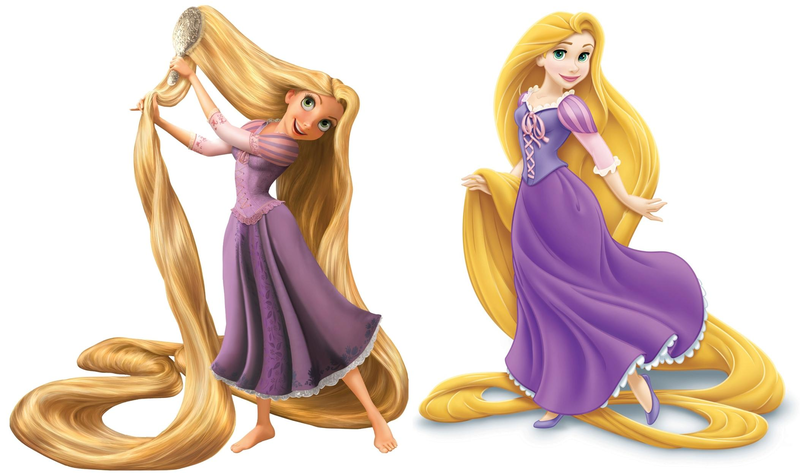 Rapunzel: Same with Snow White. Merida: I am more tomboyish!!!! Elsa: I'm more free caring!!! To all of the DP: Have to all seen Hairspray, Fiddler on the Roof, Phantom and Newsies? The movie versions? Rapunzel: We've seen Hairspray. I loved it! Mulan: That movie was AWFUL! Tiana: Lighten up, Mulan. I thought it was fabulous! Merida: Mulan, remind me NOT to see that movie. Elsa: Merida, how do you know you hate it if you haven't seen it? Besides, I loved the music! Elsa, I believe you're going to be the oldest princess being age 21. How do you feel about that? To all of the Princesses: Sorry to ask, have you seen the movie version of Grease?? Belle: I don't think any of us have seen it. Tiana: Oh I have. I think Naveen has a copy. Anna: Movie night at Tiana's!!! Aurora although it has been awhile now, but what was it like getting into the rhythm of being a Princess? I suppose this also applies to you too Rapunzel. Aurora: Well, it was difficult at first, being told I couldn't dance with the animals or walk around barefoot was a very sad thing, but I've been getting used to it, and having Phillip with me is quite a joy! Rapunzel: Well, I tried painting on the walls of the palace and it was was pretty awkward having to explain to my mother what I was doing. As if the family wasn't feeling awkward enough, I mean, at least Aurora has the fairies to tell her parents about her childhood. I have to explain it all myself. But being a princess isn't all that bad. Merida, Anna, Ariel, and Elsa: Who do you consider your best friend of all the princesses? Elsa doesn't count for Anna. Merida, Anna, Ariel and Elsa: All of them actually!!! to all the Princesses: What do you do think 2 former Miss Universe winners, Riyo Mori of Japan and Natalie Glebova of Canada? 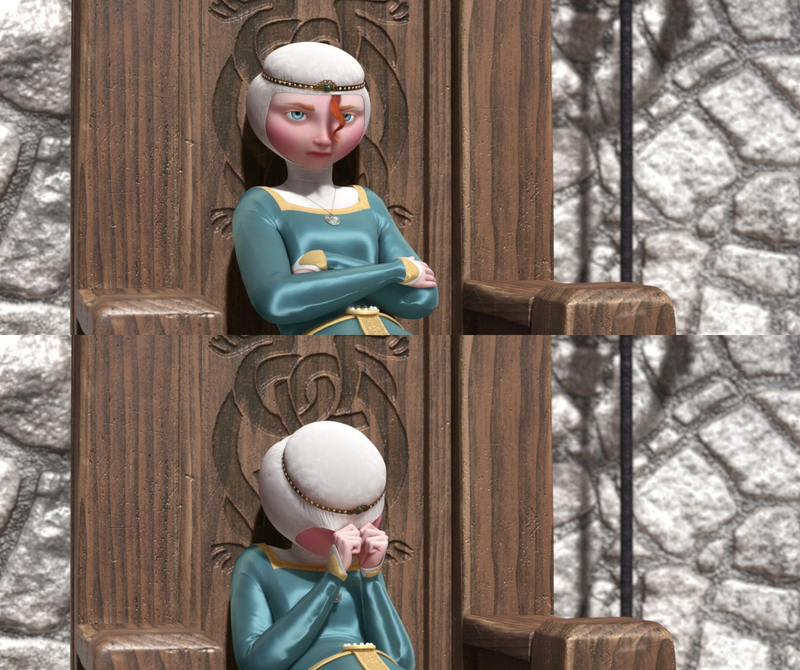 Aurora, what did you think of Elle Fanning's portrayal of you in Maleficent? She was wonderful. It's a shame Maleficent and I do not have that similar relationship. Elsa how did you get your powers? 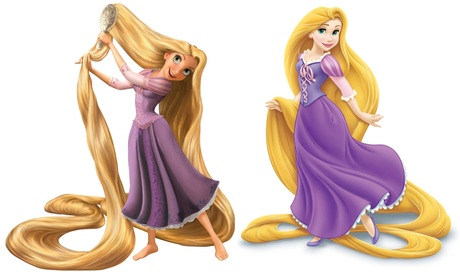 To Rapunzel: How long did it take for you to brush and wash your hair? Oh my gosh. It takes me about four hours to brush my hair on a good day. I have to be really careful when washing my hair. When I lived in the Tower Mother Gothel had to help me because when my hair gets wet and filled with soap it gets really really heavy. I'm just lucky that the river me and Eugene fell in wasn't so deep. Otherwise I would have had a harder time getting out. It's gotten a lot easier and the girls help me out. I wish I could say the same for the Dreamworks crew when they come over -.-"
Jasmine what was your favorite adventure with Aladdin? Aurora what do you think about the film Maleficent? I have mixed feelings because I loved Elle Fanning's portrayal of me, Angelina Jolie's performance, the effects, and the relationship between me and Maleficent, which we never had. But I hated how they portrayed my father because he's a good man. I also didn't like that they killed my mother, that Phillip was hardly in it, that his kiss didn't work, and that they made my three dear aunts look like complete... How do I say this nicely? Well, either way they made them look like they were bad guardians, which they weren't, they took very good care of me and I have so many good memories with them. Overall I like it wasn't what I was hoping it would be. King Stephan and Queen Leah, considering you weren't able to stop the curse on Aurora from happening do you regret leaving her with the three good fairies and missing your daughters entire life? King Stefan and Queen Leah: Not really, they were just doing their job despite missing her!! Anna and Elsa: We heard that when your movie was in production, there was a song written by Alan Menken called 'Love can't be Denied', what do you think of the song and do you want to sing it as a duet or not? Elsa: Wait. There was a deleted song? Anna: I want to sing it with Kristoff soon! How many of you have been to Mulan's world? DP except for Mulan: We have, during Chinese New Year this year and it was lovely!!! DP: What do you think of Michael Jackson's songs? Belle: Well it was quite hard to adjust, but we each have our favorites. Elsa: I'm still adjusting to all this new music. All I heard in the kingdom was classical music. Anna: I never thought music could make your blood pump so hard like that. I love his music. DP: So what's new over at Disneyland? To all the DP: Do you all know Sarah Brightman or Katherine Jenkins? For those who ask she the latter is, here she is singing I Vow to thee my Country. Elsa, I keep hearing rumors that you're dating Jack Frost from Rise of the Guardians. Can you confirm if it's true or not? Elsa: Nah, it's just a rumour. To all the DP: Had you all seen the 2012 Les Miserables? Merida, I keep hearing rumors that YOU'RE dating Hiccup from the How To Train Your Dragon series. Can you confirm if it's true? Merida: Oh no, where did ye hear that? I'm Scottish, and he's a Viking! Our clans are enemies! Besides, he also already has a girlfriend, apparently her name is Astrid. So, to answer y'er question, it's just a rumor. To Elsa: So, how does it feel to be a queen amongst so many Princesses? Is it awkward, or fun? It's fun! I feel humbled I'm the first queen to join the lineup! But at the same time, I remind myself I was once like my sister and all my other princess friends. All DP: I hear we may have 2 new DP's in the future. Their names are Angelina (from Giants) and Moana (from Moana). How do y'all plan on welcoming them if they should join the lineup? To DP: Well, rumours are rumours but we pray to God that these rumours are true! Maleficent: Had you seen Angelina Jolie's portrayal of you in your namesake movie???? What do you think of it??? Yes, I have. I thought she was very good. She was elegant and villainous. To Elsa: Do you still keep your gloves? Or did you throw them out? I still have one glove. I lost the other in the mountains, but it's okay. I kept the other glove in my closet. It was still my parents gift, but I rarely look at it or even touch it now. So Maleficent due to your new movie your cameo in Kingdom Hearts changes everything. Do you consider yourself Evil and lusting for darkness and power or was taking Aurora's heart away to protect your little beasty? At the time, I considered myself evil and lusting for power and darkness. Now, as I look back on it, I was only trying to protect my beasty. Elsa, do you use your powers on a hot day? Of course! I cannot stand the heat! Anna is always trying to get me out in summer, but I'll only go if I can stay nice and cool on the beach....Olaf on the other hand doesn't seem to mind. So Mushu given the opportunity (other than Mulan) Which Disney Princess would you help return "honor" to their family?